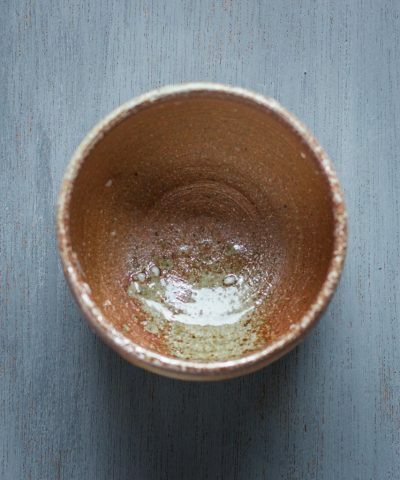 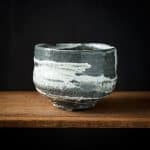 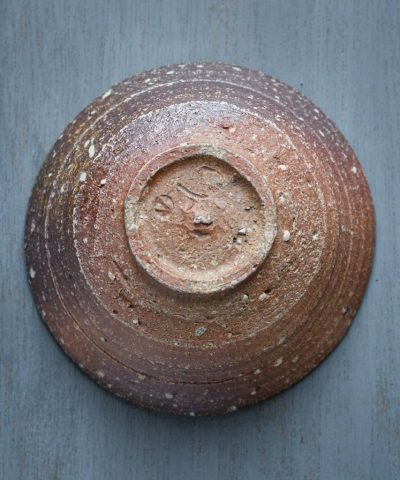 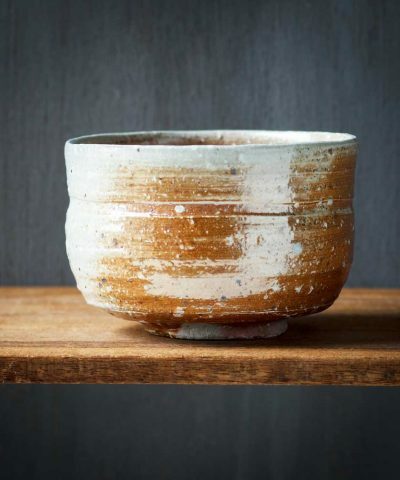 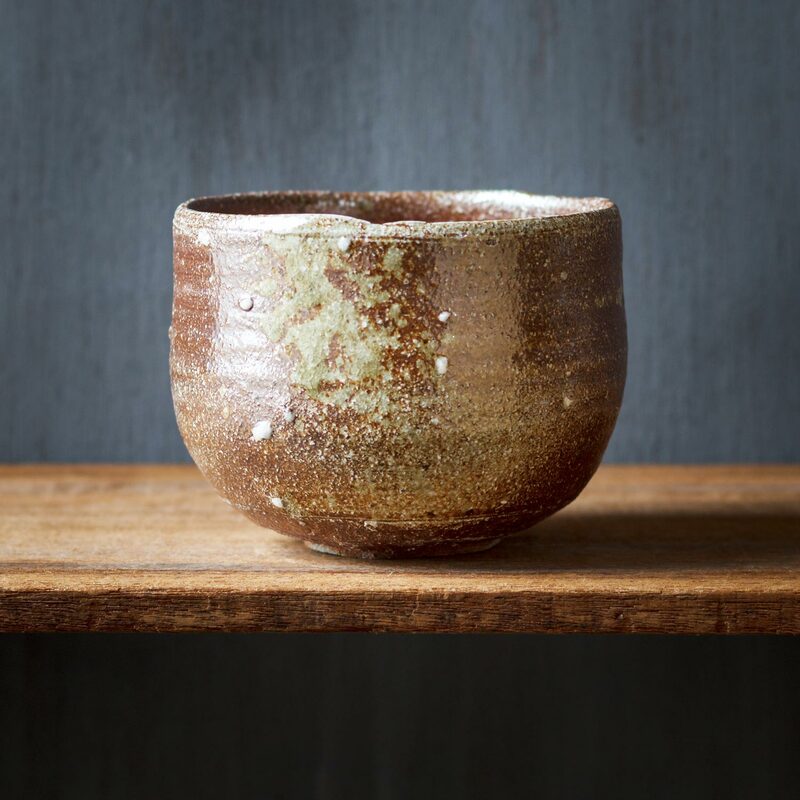 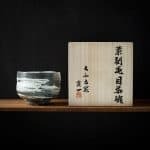 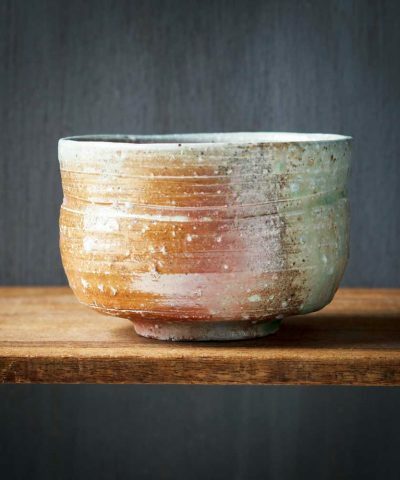 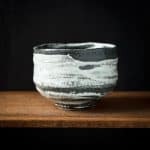 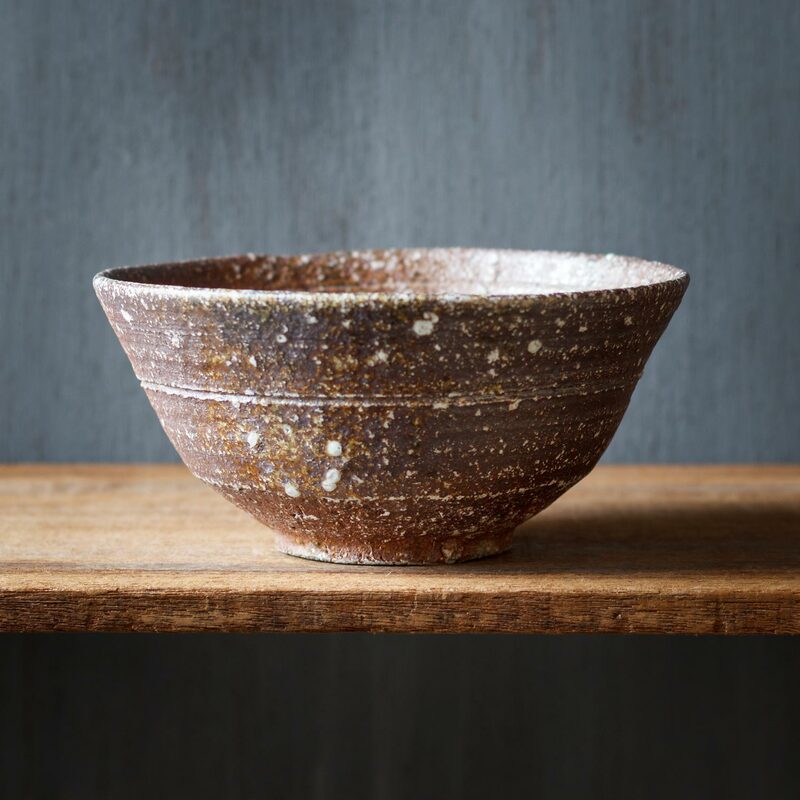 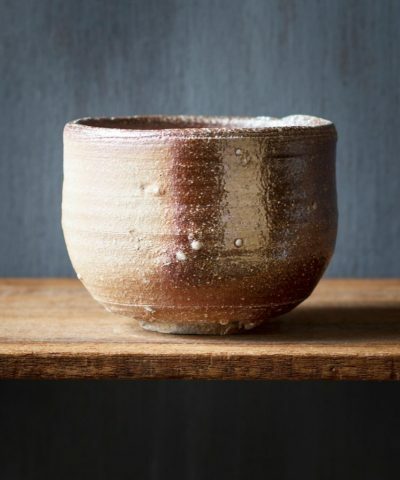 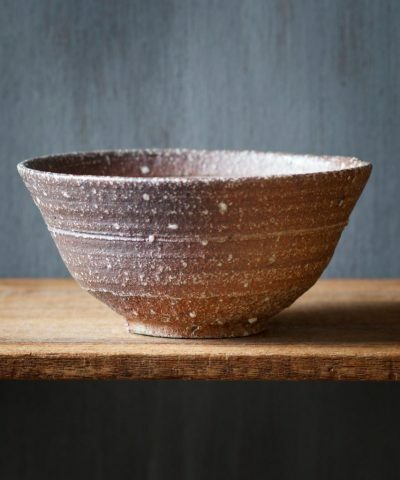 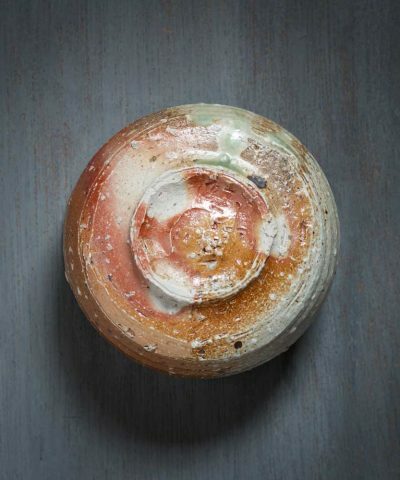 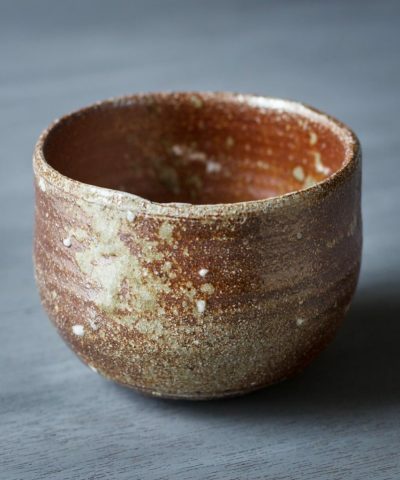 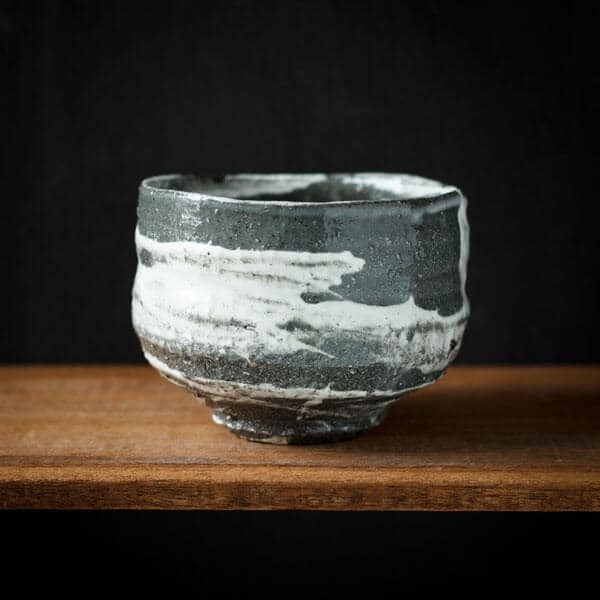 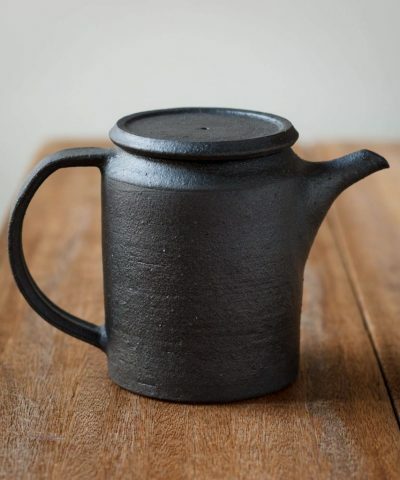 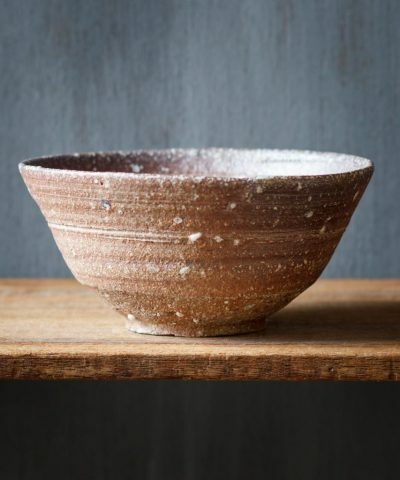 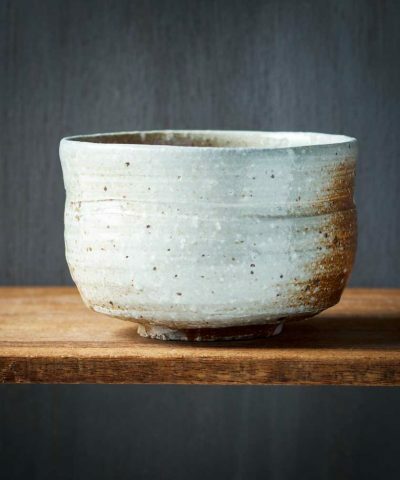 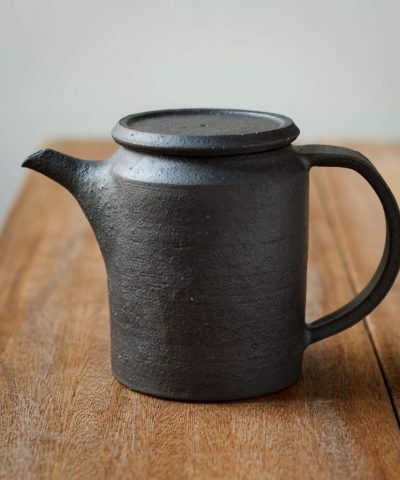 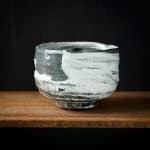 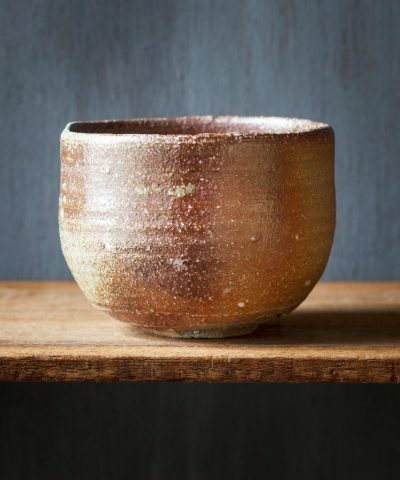 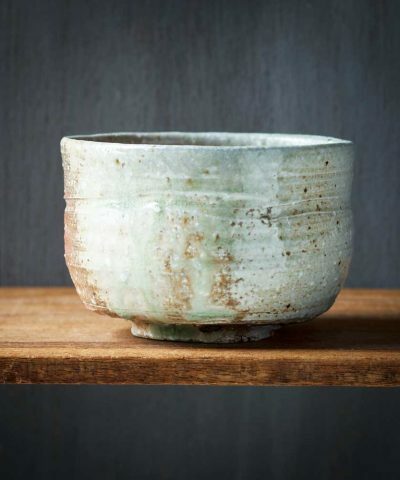 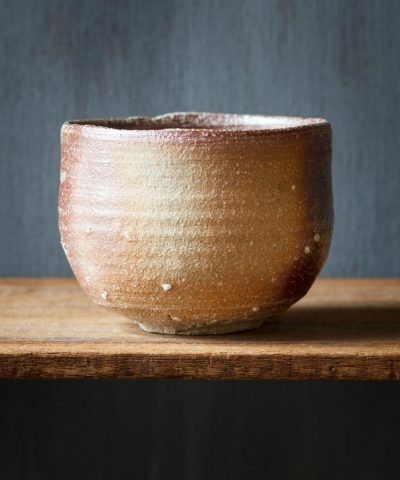 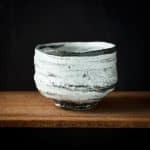 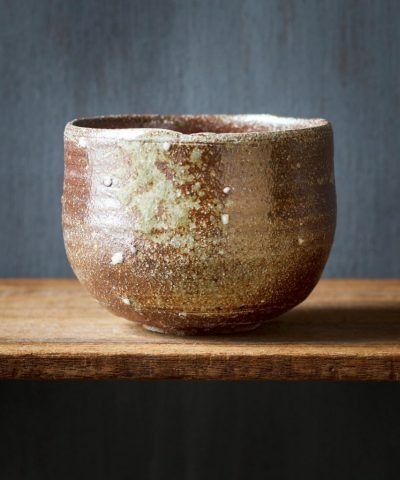 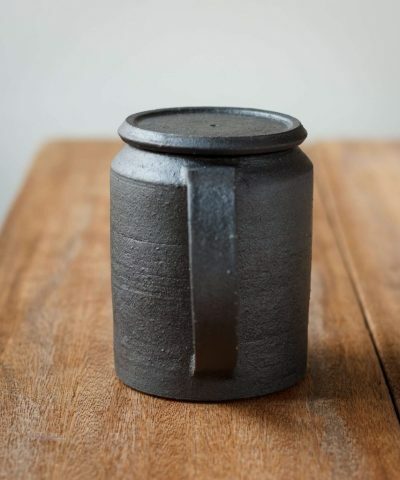 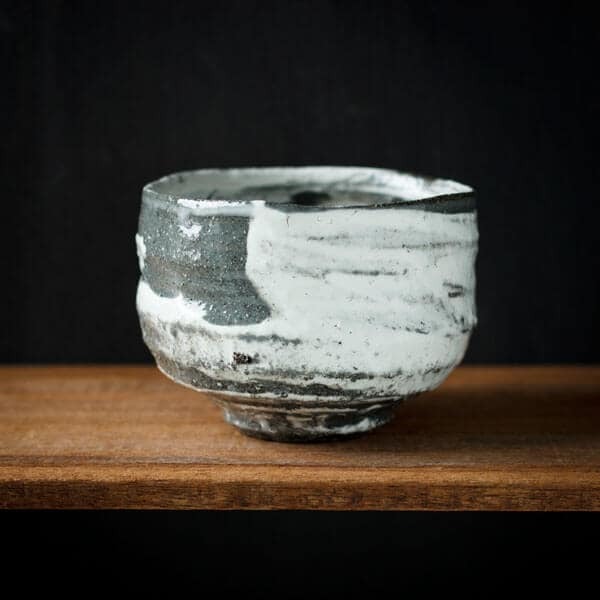 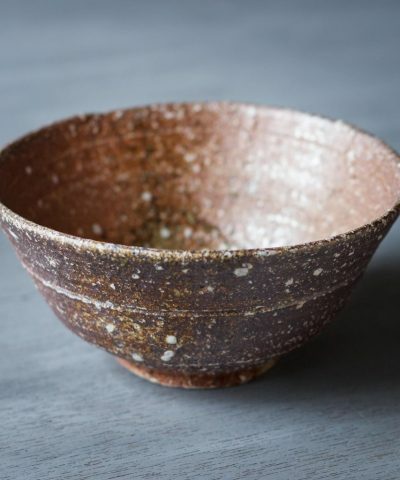 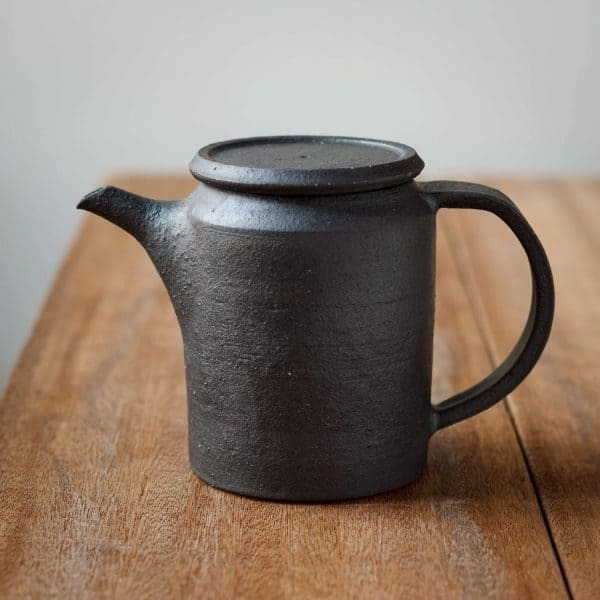 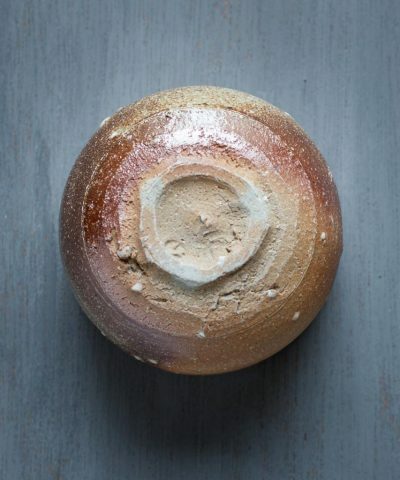 This hand crafted ‘Hakeme’ style Chawan is by Artisan Kouichi Osada from Hiroshima. 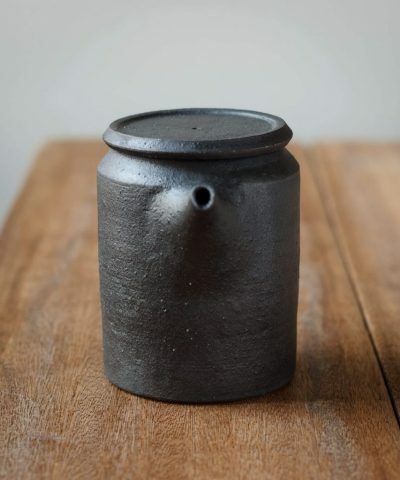 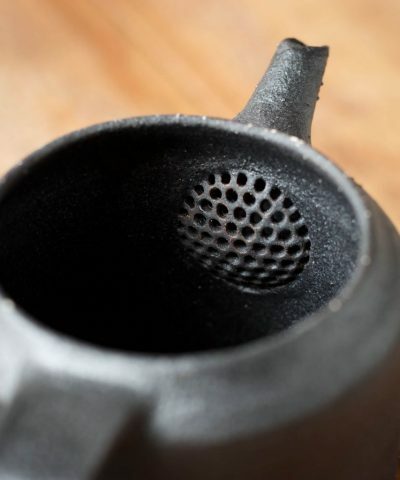 It is made from a special dark mountain soil that has to be especially collected, it can’t be purchased. 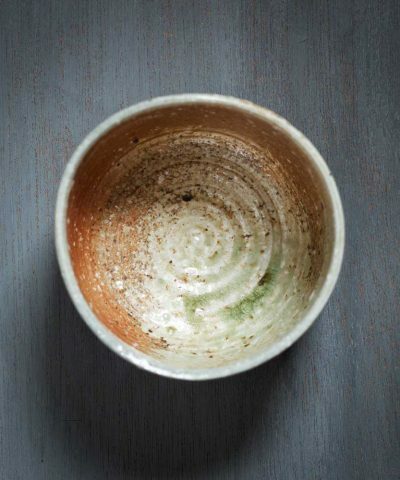 The soil is coarse and requires a specific mixture to make it suitable for pottery. 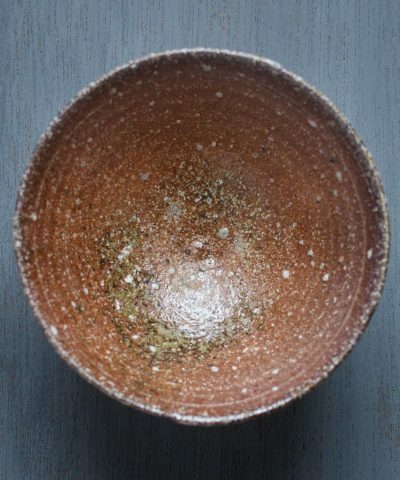 Osada-san has refined and perfected this mix over years and numerous iterations. 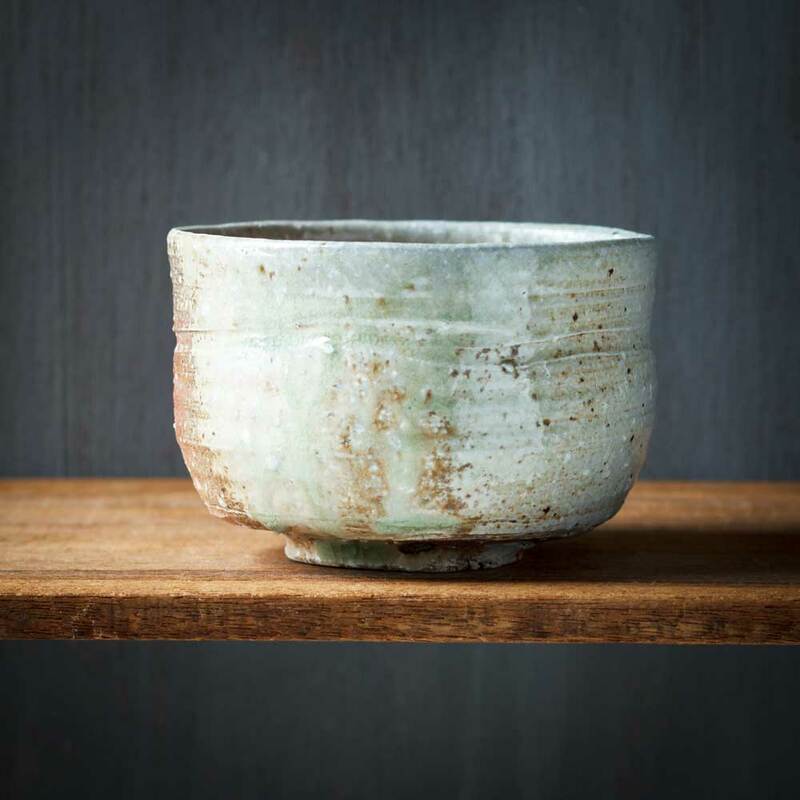 Because of the coarseness of the soil, it creates a textured surface where larger particles of soil rise and become exposed during firing. 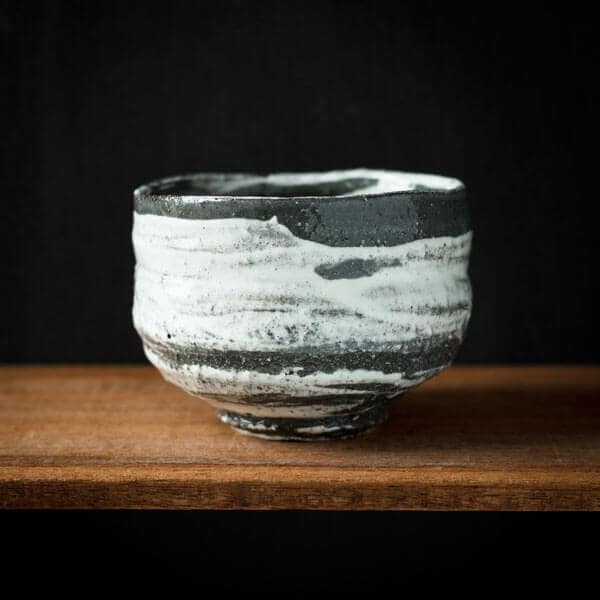 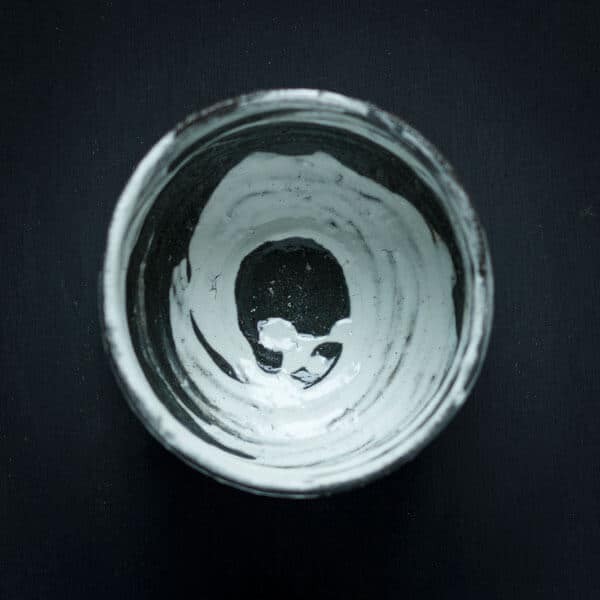 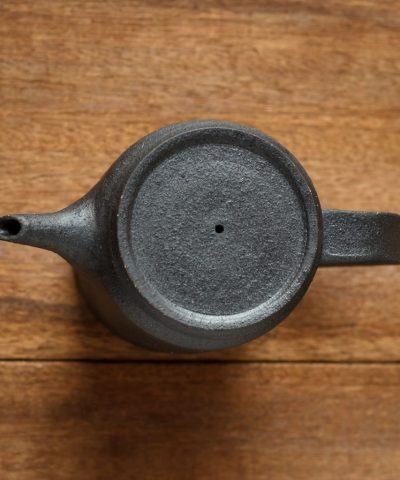 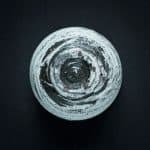 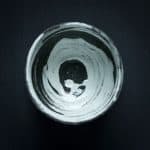 The white glaze is brushed over the almost black base to produce it’s unique contrasting finish. 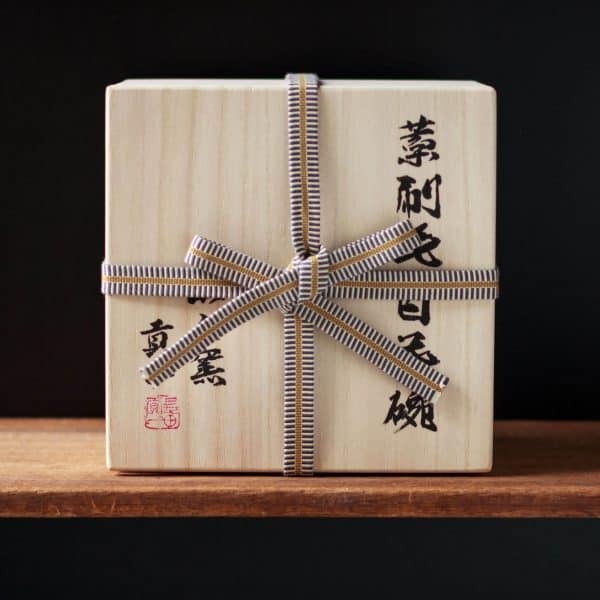 It is a collectors item and comes with a ‘Kiri’ wooden box inscribed with calligraphy and the maker’s stamp. 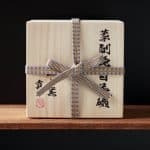 It also includes a traditional ‘Ukon Nuno’ cloth to wrap and protect the bowl, and is sealed with a ‘Sanada Himo’ braided ribbon.